To some, Roger Billings is a scientist. To others, he’s crazy. But to most, Billings, 33, is admired as a determined young man who has made his dream a reality, and in doing so he’s put together one of the most promising energy- and computer-oriented companies in the country. If, however, there is one thing that can be said with certainty about Roger it is that he is not an orthodox businessman. He’s a scientist who mixes business with experimentation. He’s a researcher who believed in a concept to such an extent that he built his company without the aid of any bankers or lending institutions. Yet, he started with barely enough money in his pocket to make a telephone call. Today, when Billings is asked where he got the money to launch the multimillion-dollar Billings Energy Corp. in Independence, Missouri, he smiles and says simply, “The ideas I had for an energy company were strong enough by themselves to sell to private investors. I could never, however, have sold those concepts to bankers. Bankers are people who come along when you don’t need them anymore” — encouraging words to the many entrepreneurs who have ideas and dreams but have never been able to persuade lenders of their validity. Like many investors Roger Billings was in the same boat. And although he was young (25) when he finally launched the company, he’d struggled with the dream for many years. Roger’s idea — at least the one he’d had since he was a ninth-grader—was to convert an automobile so it could run on hydrogen instead of gasoline. He succeeded; as a high-school senior, he converted his father’s Model A pickup truck to hydrogen and won a science award, along with a scholarship to Brigham Young University. Six years later, fresh out of school with a background in systems and engineering, Roger won the 1972 Urban Vehicle Design competition with the least polluting car, his hydrogen vehicle. That award brought him to the attention of Bill Lear, creator of the Lear jet and one of the most innovative entrepreneurs in the country. Lear hired Billings to design the hydrogen car for mass pro­duction but things never worked out. Bankers and others talked Lear out of the project, forcing Billings to make one of the most difficult business decisions of his career. His wife didn’t hesitate. The next day he left Lear and went out to sell his dream and create a company. “I was a dreamer and still am. But I look at things this way. Some people have the ability to see tomorrow better than most. It was, in fact, that type of vision along with a firm belief in his product that enabled Billings to launch his company eight years ago. His initial funding came from a research grant. He then sold a group of doctors another chunk of the company. But his business kept demanding more and more cash for the enormous amount of research and development that was going on. It was that demand that led him into a number of creative ways of financing. Once, when he sold off another small portion of the company for $1 million, he bought land with the proceeds. The land appreciated substantially and for years, whenever Billings needed additional funds, he just sold off another chunk of real estate. Jockeying and speculating with land would not, of course, have enabled Billings to build a firm company. In 1977 he expanded the company into the personal-computer field. Today a good portion of the company’s revenue comes from computer-oriented sales but Roger’s thoughts are still dominated by his belief in that hydrogen-powered vehicle. “Basically,” he says, “I’m not motivated by money. I have both short- and long-term goals. In the long run I would love to make a real impact on the world with something like the hydrogen-powered vehicle. In other words I would like to introduce or utilize some kind of technology that will make a real difference. Roger, however, knows that business is a long battle. “I’ve learned a great deal since I opened the doors. I don’t think, for example, that there are many who have a natural ability for all phases of business. I shine in technical research and development; there’ve been times when an idea I’d developed helped save the company. Running a company, of course, requires numerous decisions and, since launching Billings Energy, Roger has made hundreds. “The most difficult is managing people. Thus far, Roger has been capable of not only understanding his employees but his business as well. Still, there are those around who look at him, study his dreams of hydrogen-powered cars and just shake their heads. 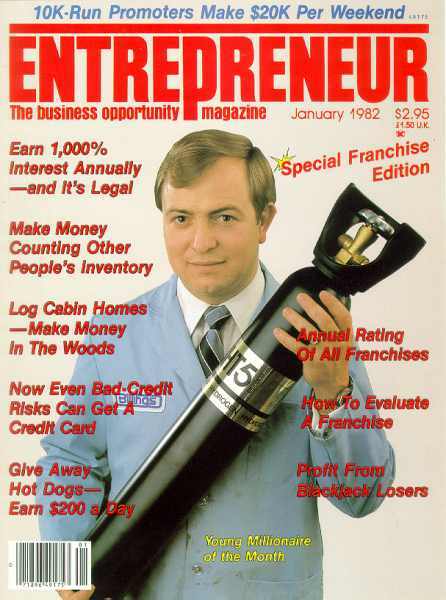 Copyright © 1982 Entrepreneur. All rights reserved.